Tub grinder and horizontal grinder are all the wood grinders capable of reducing your wood and yard waste. Horizontal grinders generally process longer, pre-organized material typically found in land-clearing operations better. Tub grinders typically perform better with larger diameter material such as stump and root balls and brushier material. Horizontal and tub ginder teeth are the wear replacement parts for wood grinders. Such bolt on tips are usually made by forging to obtain high strength. To increase the wear resistance, carbides are always overlaid on the surface of horizontal or tub Grinder Teeth. Why Forging for Horizontal & Tub Grinder Teeth? Forging is manufacturing process where metal is pressed, pounded or squeezed under great pressure into high strength parts known as forgings. The process is normally performed hot by preheating the metal to a desired temperature before it is worked. It is important to note that the forging process is entirely different from the casting (or foundry) process, as metal used to make forged parts is never melted and poured. Forgings offer broader size range in close tolerances. Sizes and shapes of horizontal and tub grinder teeth made from steel bar are limited to the dimensions in which these materials are supplied. Often, forging is the best metalworking process available with certain grades in desired sizes. Forgings can be economically produced in a wide range of sizes for different wood grinder models. 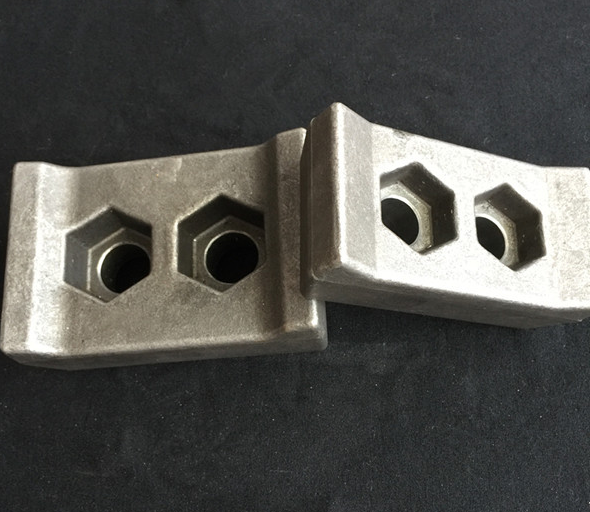 In most cases, forging yields a grain structure oriented to the part shape, resulting in optimum strength, ductility and resistance to impact and fatigue. Forgings make better use of material and generate little scrap of horizontal and tub grinder teeth. In high-volume production runs, forgings have the decisive cost advantage. Fly Forge is the top steel forging company for producing various horizontal and tub grinder teeth. 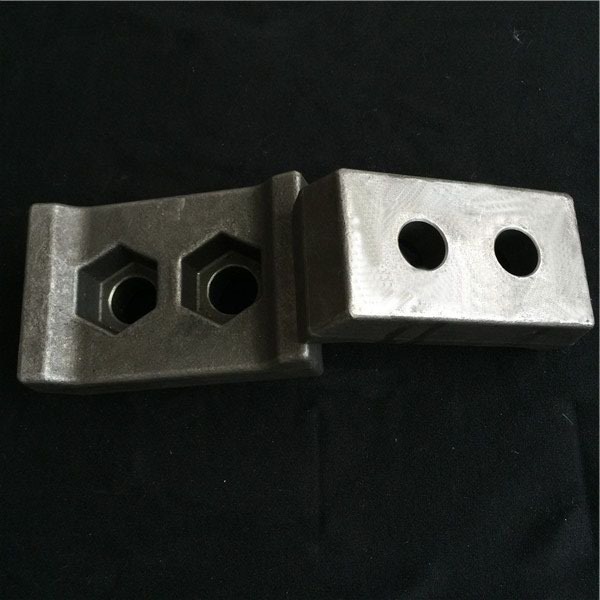 Our closed die forging technique can forge out wood grinder wear teeth in high accuracy, good quality and high strength. Most used material for the grinder teeth in our company is Chinese material 42CrMo (US standard AISI4140). Such wear-resistant alloy steel will help to longer the working life of teeth. Besides, heat treatment like tempering and quenchining will be operation after forging to increase the hardness and wear resistance. Compared with casted grinder teeth,quality of forged grinder teeth will much better,you will no need to worry about inner defects and bad surface.What’s more, the price is also more competitive for the large quantity. Our custom forging service enables us to supply any shape and sizes for horizontal and tub grinder teeth. And due to our in-house machining capability, we can machine the round holes directly after forging, which will be used to fit bolts. Therefore, our customers can order different style teeth to suit tub grinders in different models.Currently,we are in a 30% increase in production each year to meet various demands. Just pls do not hesitate to contact us if you have such a project! You will enjoy great pricing benefit from forging China.